Gold and Warm Antique Silver, see below. 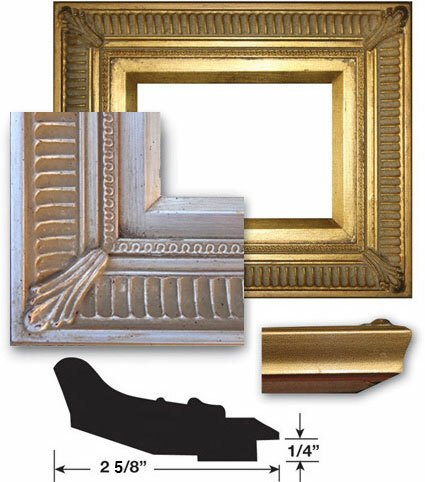 Bedecked in imperial colors, this Classic gold and silver frame is more humble than one might initially think. The colors are warm and familiar, more akin to an old family heirloom than the Queen’s jewels. Frame border width measures 2 5/8". Light Antique Gold and Warm Antique Silver. Made of solid wood with compo finish.